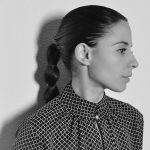 Magda’s realm as an artist spans far beyond the typical role of DJ and producer. With an open mind, Magda will try her hand at whatever feels right – from music technology collaborations and events to producing premium Tequila – creating a truly unique, multifaceted expression of herself. Born in Poland and raised in Detroit, Magda discovered beauty and inspiration in raw urban landscape. In 1998, she joined Minus and began touring as Richie Hawtin’s opening DJ. In 2006, Magda established the Items & Things label and booking agency with Troy Pierce and Marc Houle. In 2017, she launched the Perm event series in Berlin. Since her first international tour in 2003, Magda established herself globally as an artist known for pushing musical boundaries and expressing her unique style. 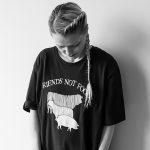 Magda first made her name as part of Richie Hawtin’s Minus label family, releasing her forward thinking DJ mix album ‘She’s A Dancing Machine’ in 2006, followed by her debut artist album ‘From The Fallen Page’ in 2010. Magda’s remix work includes Plastikman and Depeche Mode and DJ mix albums for Fabric, Balance as well as a BBC Radio 1 Essential Mix. Recently, Magda has produced and performed alongside T.B. Arthur as Blotter Trax and recording with Ectomorph’s BMG. Blotter Trax combines modular synthesis, live improvisation and rhythmic exploration. Performance highlights have included live audio-visual duets with video artist Lillevan (Morton Subotnick, Christian Fennesz) and a recent club tour of Japan which saw the duo performing live and transitioning into Magda’s signature DJ sets. Magda is amongst the most high-profile and in demand artists, having proven herself as a consistent, adventurous and exceptional performer, with a knack for bringing music together in unexpected ways.